WAREHOUSE FIND! 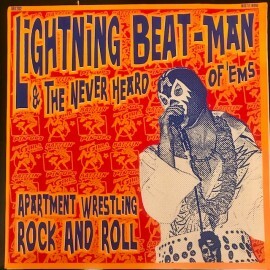 1998 Voodoo Rhythm release, Lightning Beat Man & the Never Heard of 'Em's "Apartment Wrestling Rock and Roll" LP, with silkscreen cover. 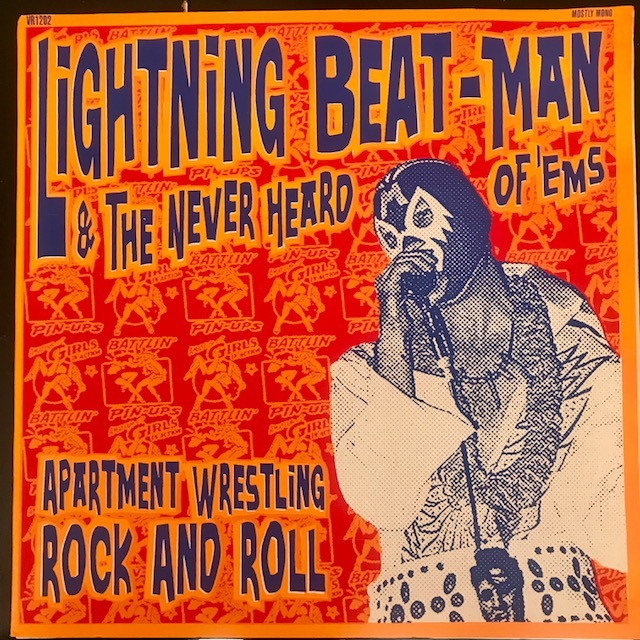 We found TWO of these in our move, the record is unplayed nm thought the jacket has some minor corner dents and minor wrinkles on the top left, but still nice enough to keep or frame. Keeping the price down due to the cover issues!